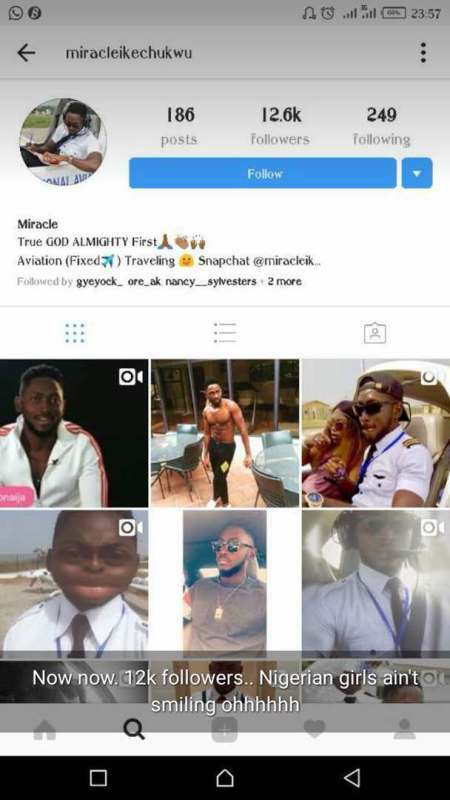 Big Brother Naija 2018 housemate Miracle is already causing drama online. 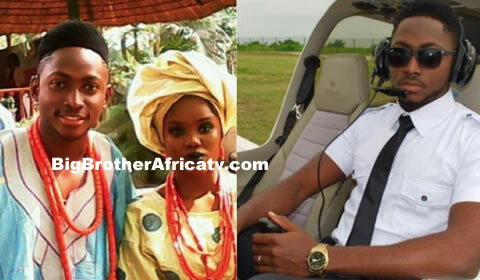 The show has started and as always the drama that comes with it is always fast and hot. 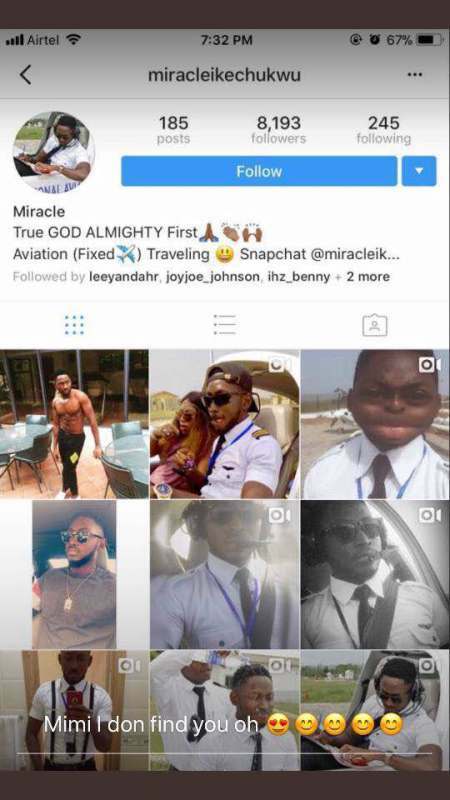 Just few hours into the LIVE show, Twitter investigators are already out with receipts on a particular housemate, Miracle, a handsome pilot. 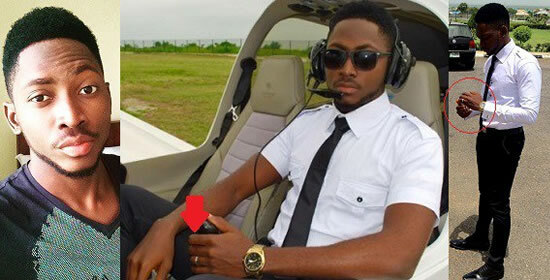 Miracle who revealed that he is currently available has been spotted with a wedding band on some of his Instagram photos which has left many Nigerians asking if Miracle is yet another Thin Tall Tony? 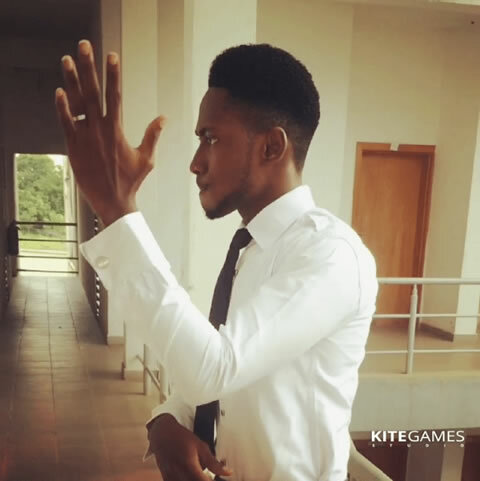 Recall that Thin Tall Tony, an ex-housemate from Big Brother Naija 2017, lied to his housemates and viewers about his marital status. 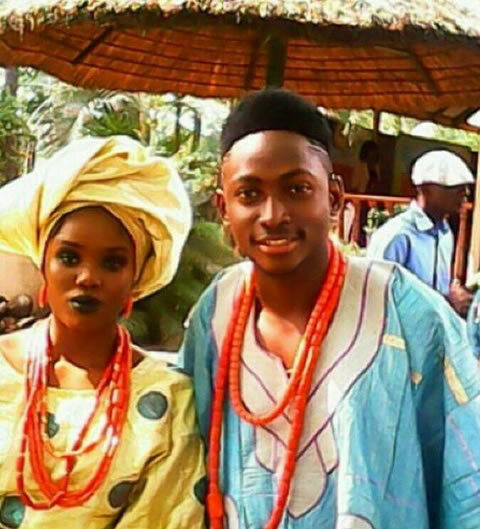 While it is not clear if Miracle is married, the pictures below however shows us a wedding band. 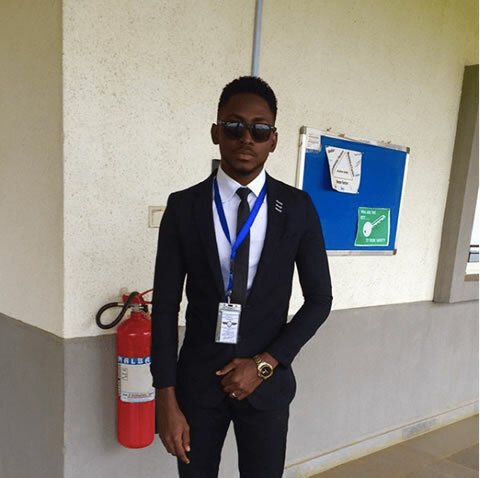 Miracle is a Nigerian pilot whose plan is to showcase what he’s made of in the Big Brother Naija house this season. 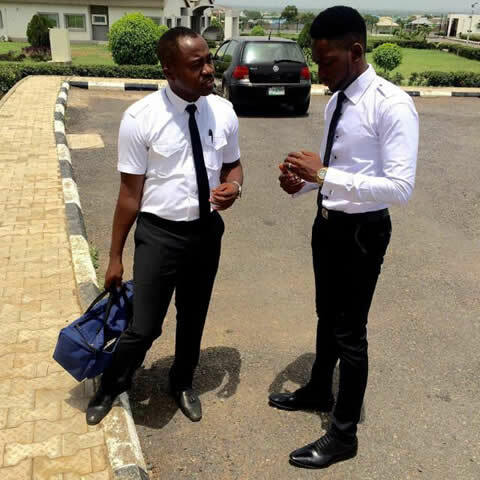 According to him, this platform doesn’t mean he is ready to give up his flying life rather a platform to help boost his intending career Miracle is a pilot who enjoys dancing & camping. He is 24 years old and single. He plans to charm the ladies whilst in the House and believes fans will find him unique too. If he wins the prize money, he’ll get more aeronautic training and help his family. Will this picture of him rocking a wedding band affect his game or will fans just ignore this new revelation and decide to watch Miracle thrill them? 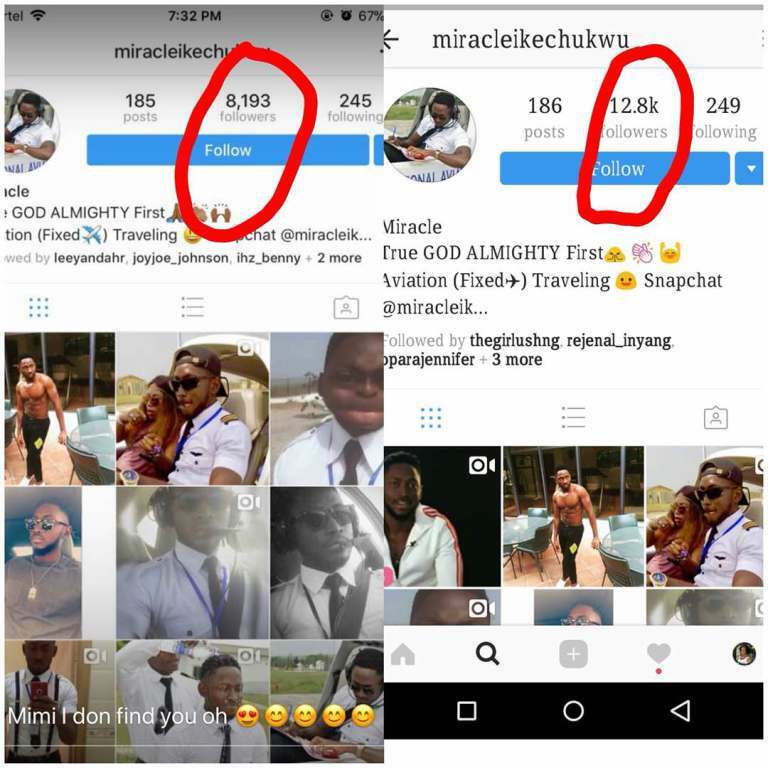 Well, the ladies are not smiling as they have dug up his Instagram account and the followers literally doubled within the hour.